An article by Emily Rogers on the Nintendo World Report suggests a VR related message to Switch could come as early as this year. This information allegedly comes from "multiple sources", which Rogers addresses how a "small selection of traditional first-party software titles" might receive VR support in the "not-so-distant future". 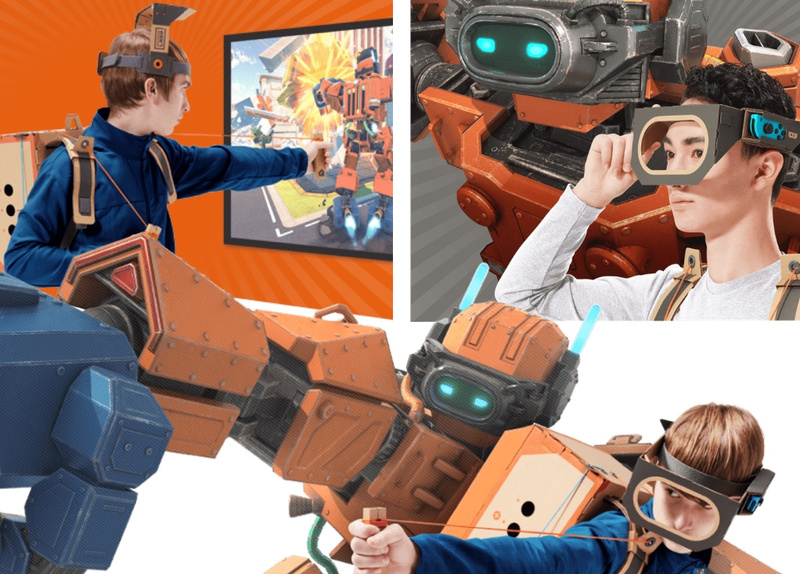 GoNintendo added fuel to the fire, revealing how a "very trusted source" said VR support to the switch was actually true and Nintendo Labo would be one of the first games to support it. Right now there is no detail on what this rumored Labo kit will contain or what it would be called. "This is something we are constantly thinking about, experimenting with. For virtual reality we have said: it is technology we are looking at, but ultimately it must be fun. It is our mission, and we do it possibly better than anyone else. " While he had nothing to announce at that time, Reggie told how VR was a technology Nintendo would continue to experiment with in the future. 6, the hybrid device was reportedly delayed to improve its VR capabilities. That same year, the company also filed a patent application for a head-mounted display, and last month it was revealed that Nintendo would participate as an observer of a common Japanese company known as the VRM consortium. Based on The above information do you think VR comes to the Nintendo Switch? Do you think it's going to come this year? Are you interested in using VR devices to play games? Please tell us below.